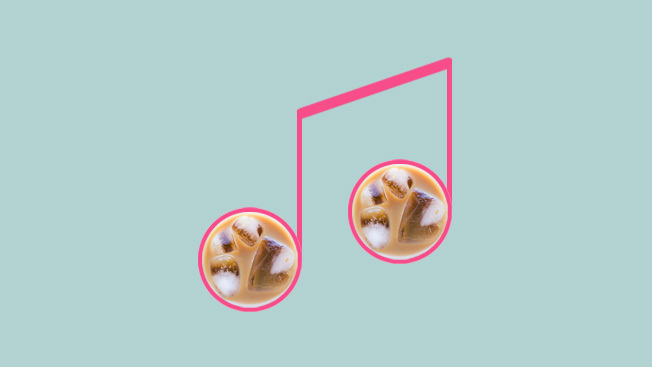 Dunkin' Donuts wants to create cool musical buzz with millennials this summer to push its iced coffee products. So it's playing with enough social-media platforms to outfit a marketing septet: Spotify, Snapchat, Instagram, YouTube, Twitter, Vine, Facebook and Periscope. The initiative, called "DD Summer Soundtrack," centers on a five-concert series that the fast-food chain is sponsoring, and the music kicks off today with a performance by pop-fusion artist Marian Hill in Philadelphia. The Canton, Mass.-based company's marketing team—which includes agencies Hill Holliday and Trilia—will publish and promote content from the concerts on its social channels, including its initial effort on livestreaming-app Periscope. "This will be the first time we've had the mass social presence across all the channels on the same idea for the same promotion," said Scott Hudler, vp of global consumer engagement at Dunkin' Donuts. "With a program like this—which is clearly designed to reach a younger consumer—we feel like we need to cover all of our bases." If you often use Spotify's free service—in other words, not its $9.99-a-month, no-ads offering—expect to see and hear plenty of Dunkin' Donuts' promos through Labor Day. It's the most elaborate partnership between the brand and the digital-music service to date. "They've bought media across all of our different channels—audio, video ads, desktop banners," said Spotify CMO Jeff Levick. "They're really doing a full, summertime takeover on Spotify to drive engagement at its consumer microsite." Indeed, Hill Holliday has created an online hub, DDSummerSoundtrack.com, for the effort, which takes aim at the 18- to 34-year-old demographic. The concert content will be available on the microsite through the end of September and will include videos and custom playlists from each artist, sizzle-reel-style mash-up footage from the shows, photos from the performances, and behind-the-scenes pictorials. New content will be added regularly during the next several weeks. These are the marketing ingredients that befit a Gen Y-minded campaign. "If this was a program aimed at an older consumer," Hudler explained, "we might not hit all of these . But, [modern marketing] is rapidly morphing to a place where brands will have to engage across all of these channels just as a general course of doing business." The digital-focused appeal will also include paid advertising via connected TV platforms. Meanwhile, Dunkin' Donuts plans to announce the other performers for its concert series soon.